FRANKFURT (Bloomberg) -- The new Mercedes-Benz S-class Pullman will cost more than double the top-of-the-range Rolls-Royce when it goes on sale next year. The 6400mm (21 feet) Pullmann will also be about 406mm (16 inches) longer than the $474,900 extended wheelbase version of the Rolls-Royce Phantom, making it the biggest series-produced passenger car. Priced at about $1 million with armor plating and three rows of seats, the vehicle will be reminiscent of past Mercedes models owned by the likes of designer Coco Chanel and former Philippine leader Ferdinand Marcos. The four rear seats will face each other and be separated from a front chauffeur compartment by a partition window to guarantee discretion, according to a person familiar with details of the brand's strategy. The Pullman will cap an ongoing expansion of Mercedes' high-margin flagship, which was revamped last year, into a line of six models, double the number of variants in the past. The plan includes a sporty coupe that goes on sale this fall. By increasing its elite offerings, the Daimler unit is challenging BMW Group and Audi to follow as the three vie for the global luxury-car sales lead. With the new top-end S class, "they are trying to evoke the very famous old 600 Pullman that was used by people from dictators to John Lennon," said Tim Urquhart, a London-based analyst with IHS. "They want to show that Mercedes still stands for an absolute elite, luxury and opulence. There's symbolic value to this kind of car." CEO Dieter Zetsche is counting on the S class to advance his goal of overtaking BMW and Audi in profit and deliveries by the end of the decade. The CEO reviewed at least a dozen versions of the design and tested the car in Germany's Black Forest, South Africa, Sweden and the United States to find the right balance between comfort and handling. "We set out with the ambition to build the best car in the world," Zetsche said in an interview on Wednesday while driving through the rolling countryside of Italy's Tuscany region where Mercedes is showing the S-class coupe to the press. "It's great when you hit that first bend and realize that this is a level the competition can't reach," said the CEO, who cleared the S class for sale only after his 12th test drive. The 126,000 euro ($172,000) S-class coupe, which will compete with the likes of the Bentley Continental GT, goes on sale in October in the United States. The coupe includes flourishes such as optional LED headlights featuring a total of 94 Swarovski crystals and a rear-view camera that swings out from the Mercedes star in the back. It's the line's third model after the base version and an extended wheelbase variant both hit the market last year. Mercedes plans to present an extra-long Maybach edition of the S class in November at auto shows in Los Angeles and Guangzhou, China, said the person who asked not to be identified before an official announcement. The car will resurrect the name of Daimler's ultra-luxury brand that was discontinued in 2012 as it struggled to compete with Rolls-Royce and Bentley. A convertible version of the Mercedes flagship is due late next year, the person said. "With the S class, we're offering a package of technologies that nobody can compete with and a quality that expresses the highest exclusivity," said Zetsche, who approved the car after a final drive in the Swabian Alps in spring 2012. The route included slopes and curves and rough roads to test the suspension and noise levels. S-class deliveries are forecast to surge 63 percent to 98,600 vehicles this year, beating the combined total of 88,100 for BMW's 7 series and Audi's A8, according to IHS Automotive. 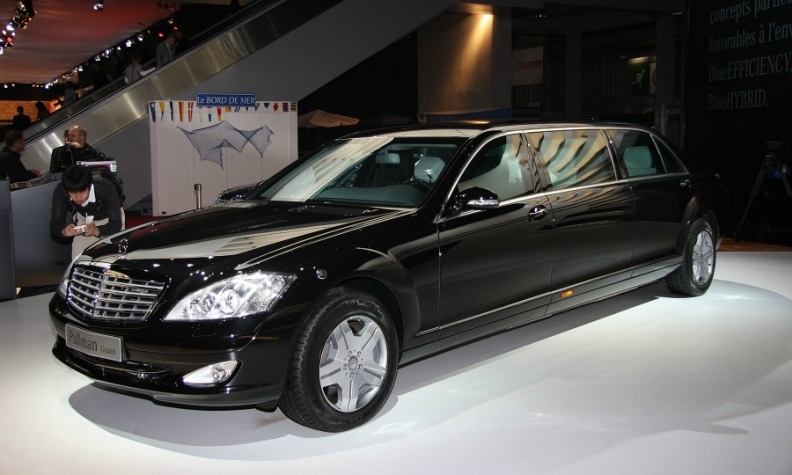 Mercedes' current Pullman, the S600 Guard, was unveiled at the Paris auto show in 2008. "The S class is a decisive signature vehicle for the brand and very profitable at the same time," said Juergen Pieper, a Frankfurt-based analyst with Bankhaus Metzler, who estimates that the car has an operating profit margin of 12 percent to 15 percent. "Its importance goes far beyond its sales figures." 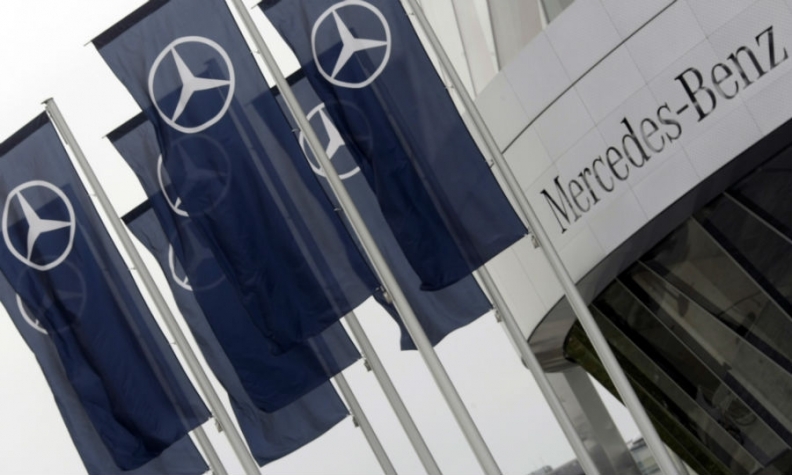 Daimler, which targets a margin of at least 10 percent for Mercedes, declined to release profitability figures on individual models, citing company policy. The automaker also declined to comment on future model plans. By adding more variants at the top end of its lineup, Mercedes is looking to balance out its increasing dependence on compact cars. Sales of models like the A class will make up 30 percent of the brand's global vehicle sales this year, compared with half that in 2011, according to IHS. That push for volume comes with risks to its image. "The myth of the star might get lost on the way," said Patrick Welter, who publishes the German S-club magazine. "They have to be careful that they don't diversify too much. They're losing part of the exclusivity."